Several years ago, my mother in law remarried which made my husband's already large family that much larger. We instantly, officially, inherited a whole new family to add to our gang. One of the members is a step niece, Kiley, who like most of the nieces and nephews was no more than a toddler on that wedding day. No one could have imagined the long, hard battle that she and her family would start just a few short years later. Only a couple of weeks after her fifth birthday in 2014, Kiley was diagnosed with Rhabdomyosarcoma, a rare pediatric cancer. Since then, she has been facing a very difficult battle including surgery, radiation, and chemotherapy. 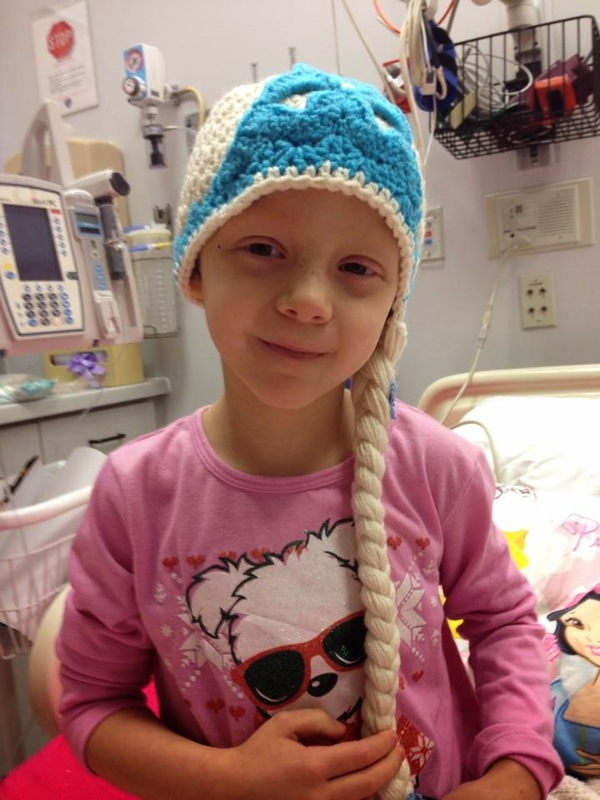 In order to gain more funding for pediatric cancer, her family is hosting a "Princess Kiley's Me and My Doll Experience" fundraiser on both Feb 14th and 21st. All proceeds will be donated to The Children's Cancer Therapy Development Institute. The Sullivan family has turned their former house into a virtual American Girl museum for children to explore. There will be American Girl (and various other brand) clothes, accessories, furniture, and shoes available for sale. In addition, there will be an "interactive school" where girls can bring their dolls to play and be students. They'll also have extra dolls in case anyone doesn't have one! In addition, the event will sell homemade items, crafts, books, and baked goods. Raffles and silent auction items will also be taking place during the event. So fun, right? Isabelle and I will be attending and helping out on the 14th and we'd love to see you there! If you'd like to learn more about Kiley and follow along with her journey, please like her Facebook page HERE. If you are interested in volunteering at the event, you can find out more information HERE. If you can't attend but would like to donate towards pediatric cancer research, you can click HERE.